Combine mango and sugar in a large bowl; toss to mix. Place half of mango, half of banana, and half of lime juice in a food processor; process 3 minutes or until the mango is smooth. Transfer mixture to a bowl, and place in the freezer. Repeat procedure with remaining mango, banana, and juice; combine with reserved mango mixture, tequila, and salt, stirring to mix. 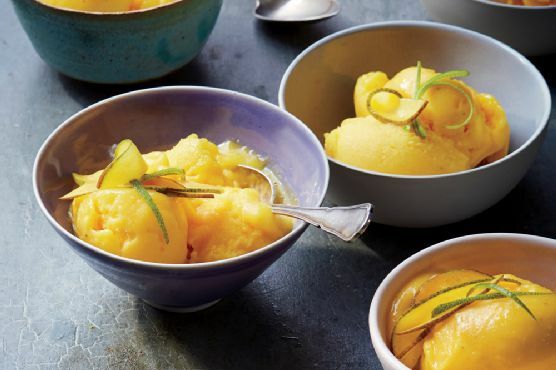 Spoon into bowls and serve immediately, or freeze until ready to serve.